Remember January? When it was cold and dreary? Well here’s a video of a little trip by Swinburne Island. 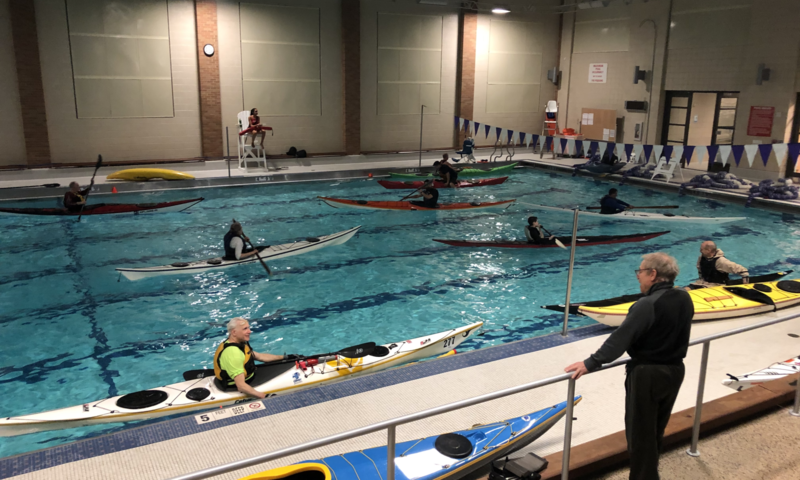 I want to convey a hearty THANK YOU to all the participants who made this winter’s pool sessions a great success for Tubby Hook and Kayak Dov. As some of you may know, this was the first year for Julie and Dov to to run a pool program at the Masters School, especially to Matt Kane’s clients who came along to see how we’d do. 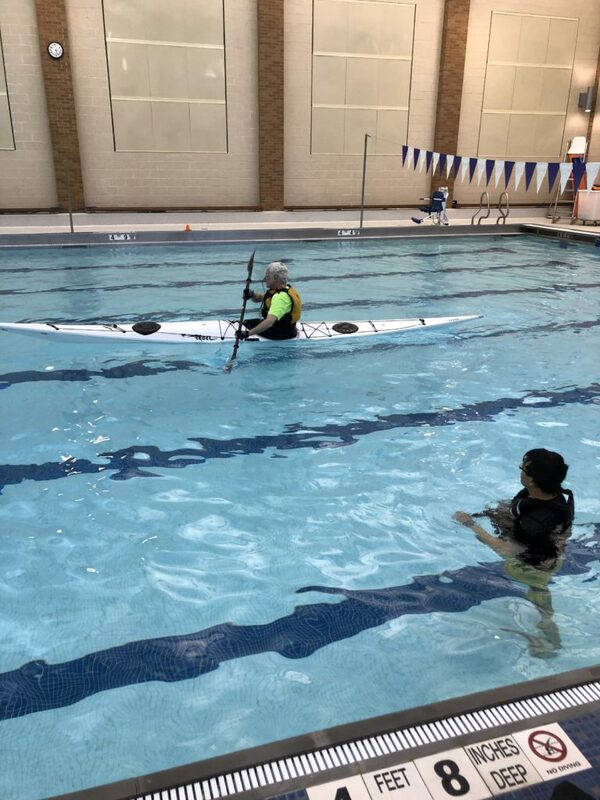 Dov and I had a lot of fun working with a range of paddlers, from people learning the basics, to people learning fancy rolls. And, we’re happy some of you tried out Greenland-style Rebel kayaks. The boats have been brought in. JT trying a Rebel Ilaga. 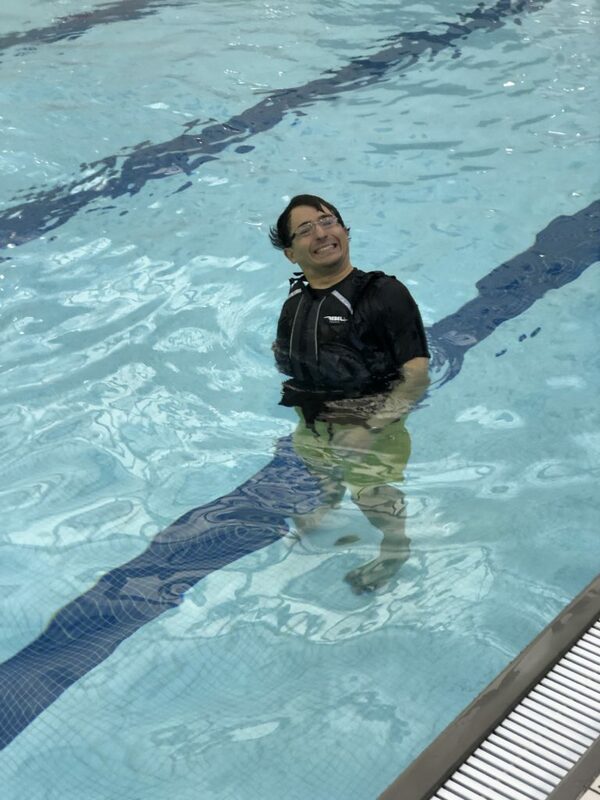 I want to share a big THANKS to everyone who’s come to one of our pool sessions in Dobbs Ferry. There’s been enough interest that Dov and I have added a fourth date, March 10, and we’re taking steps to make sure the pool doesn’t get crowded for any session. February 24 is now full, but we still have plenty of room on March 3, and March 10 is wide open. Sign up for a session using the Scheduler. 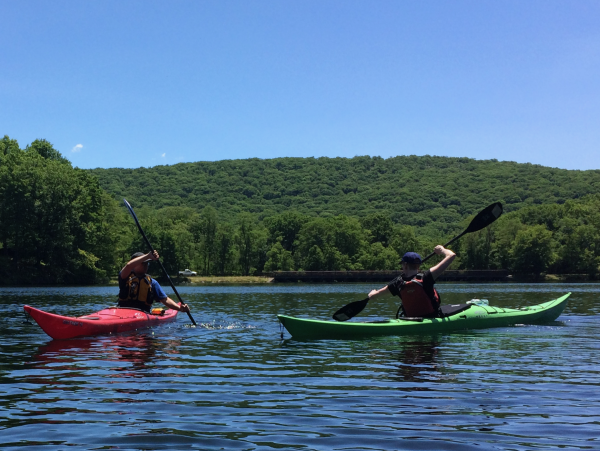 Additionally, if you’re interested in trying out a Rebel kayak, drop a note to kayakdov@gmail.com. He’s got all models available except the Toc and the Jara. 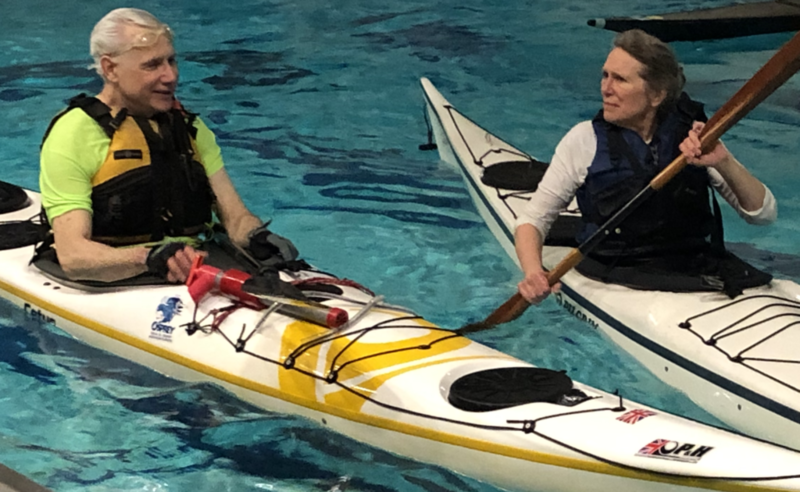 Dov is also offering a deal on Gearlab Greenland-style paddles, available only to pool participants: 15% off for anyone who’s taken been a participant ate on of our sessions. Hope to see you in the pool! 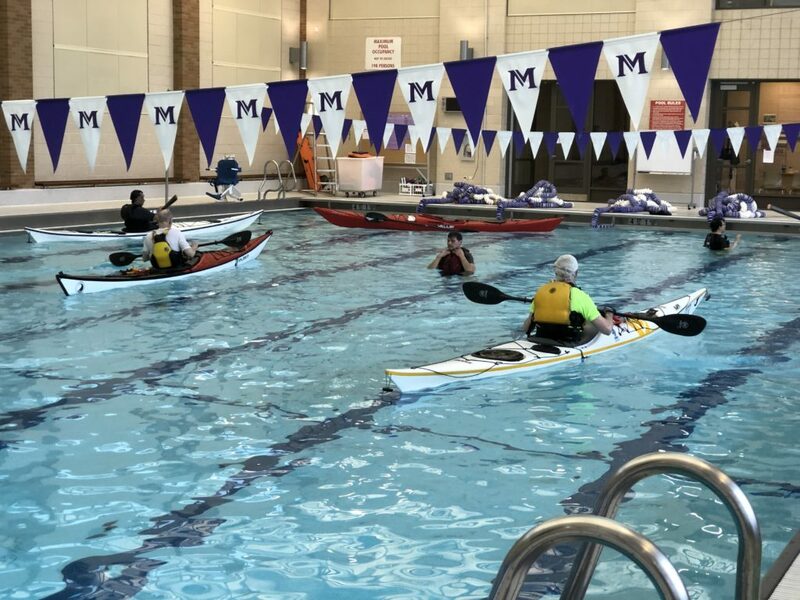 We – Kayak Dov and Tubby Hook Paddle Company – had a great start to our first pool program yesterday. We have two more sessions scheduled, for February 24 and March 3. Pool Program at Dobbs Ferry. 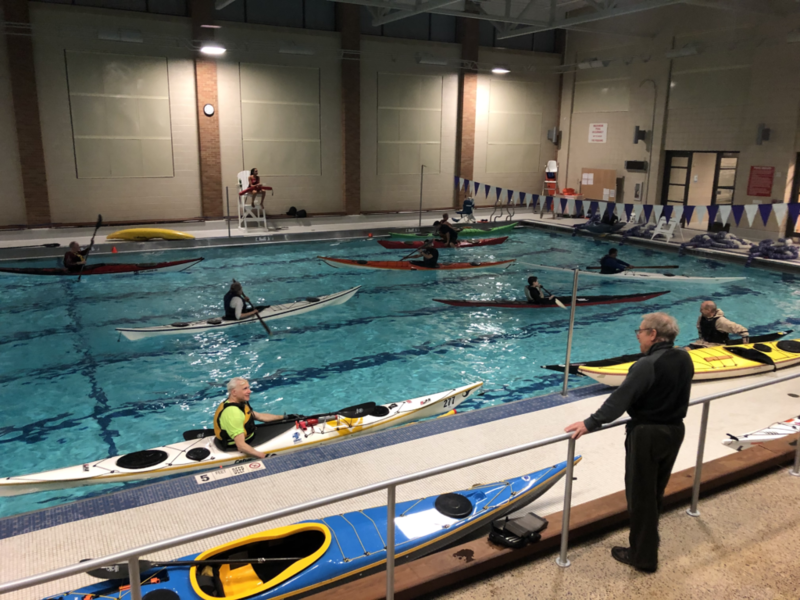 We had great turnout, with nearly a dozen paddlers either showing up with their own boats or renting boats from us, a few taking classes, while others practiced on their own. 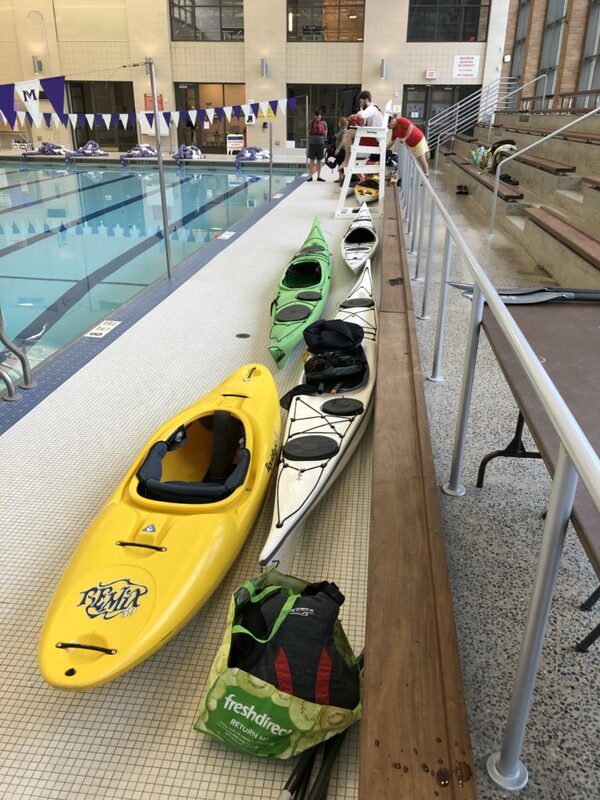 We had familiar faces and new, and both experienced paddlers and starters. Everyone shares stories and top tips. It’s a social setting as much as an instructional environment. J & C giving each other top tips. To learn more about the program, drop a note to info@tubbyhook.com.